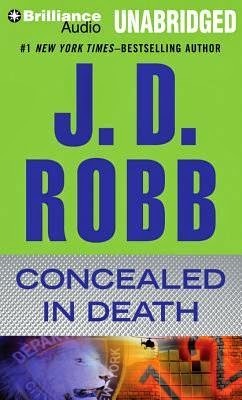 Roarke buys yet another New York building, and when in what should be a purely symbolic move he strikes the first few blows to break down an internal wall, it collapses and reveals two bodies. His first call, of course, is to his wife, Lt. Eve Dallas, of the NYPSD. The two bodies turn out to be the first of a total of twelve, all girls between twelve and fourteen years of age. Dallas, Peabody, and Roarke find themselves unraveling the secrets of a children's sanctuary that, fifteen years ago, was the last occupant of the building. The brother and sister team that ran the sanctuary, Nashville and Philadelphia Jones, now run a far better funded residential school for troubled and at-risk children. Their younger brother Montclair, who worked for them at the sanctuary, went off to Africa as a missionary around the same time, and was eaten by a lion. As Dallas and her team piece together the lives and identities of the dead, and the timeline of their lives when they disappeared, there's only one logical answer to who the killer is. This is a solid new entry in the In Death series. Eve grapples with her own past as she learns about these twelve girls, many of whom came to the sanctuary from abusive homes. A new element is a forensic anthropologist, in her own way as strong-minded and iconoclastic as Dallas herself. She looks like she may be a new regular character, and that opens up some interesting future clashes and collaboration.